For epic views without the crowds, and divine dining, hit up Mount Norquay's Sightseeing Chairlift. 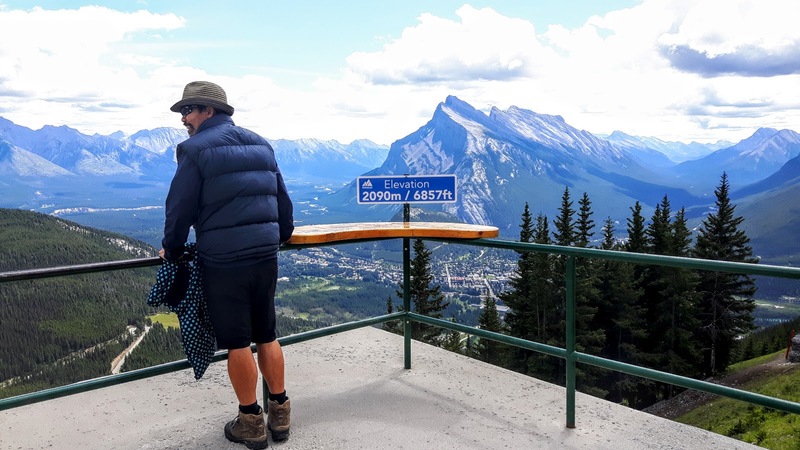 Mere minutes from Banff, this open air experience carries you over lodgepole pines to a spectacular viewpoint at 2090 metres (6857 feet). 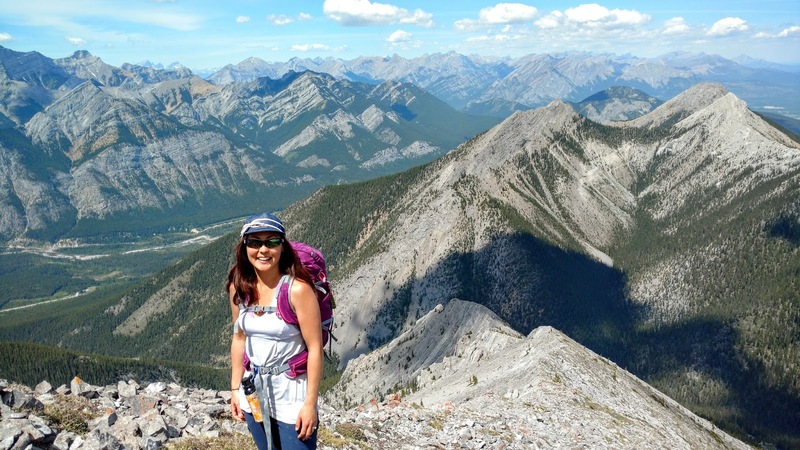 Sights to be seen include legendary Mount Rundle, the Bow and Spray Valleys, and - if you're lucky - wildlife and cloudporn. 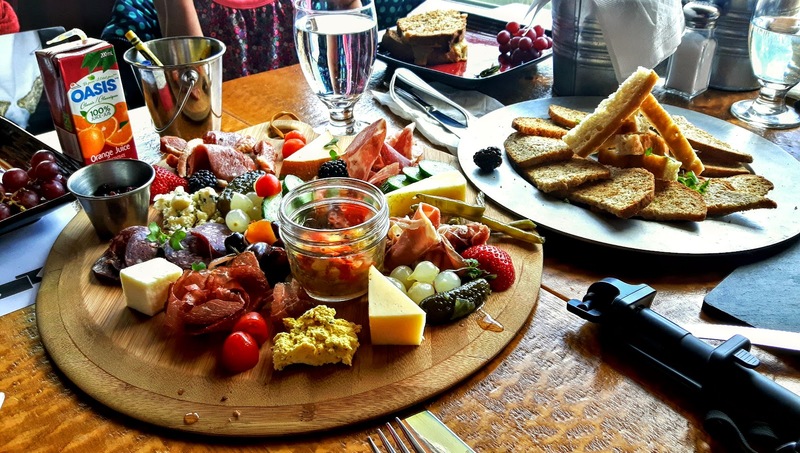 After filling your eyes, fill your tummy with deliciousness at the Cliffhouse Bistro. The ride up is a pleasant 8 minutes on a chair for two. 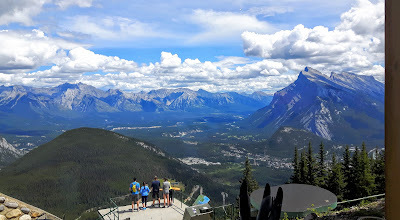 Sit back and relax while taking in the scenery that has made Banff world famous. World famous Mount Rundle dominates the landscape. But first... a little info on how to get on the chairlift. Boarding is a breeze as the chairlift slows down in the loading area. My kids (aged 5 & 7) had no trouble getting on and off the chair on their own as they've skied since they were 2. 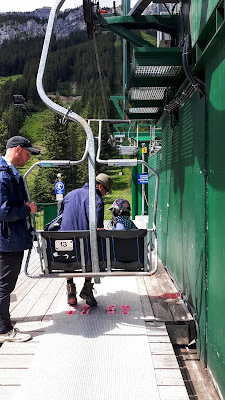 If you're a chairlift virgin, simply stand on the big red footprints (see photo below) and sit down when the chair is behind you. In the event you have trouble boarding or getting off the chair, the staff can stop the lift at the push of a button. Once you're seated comfortably, lower the safety bar. At the top, staff will advise you when it is safe to raise it. 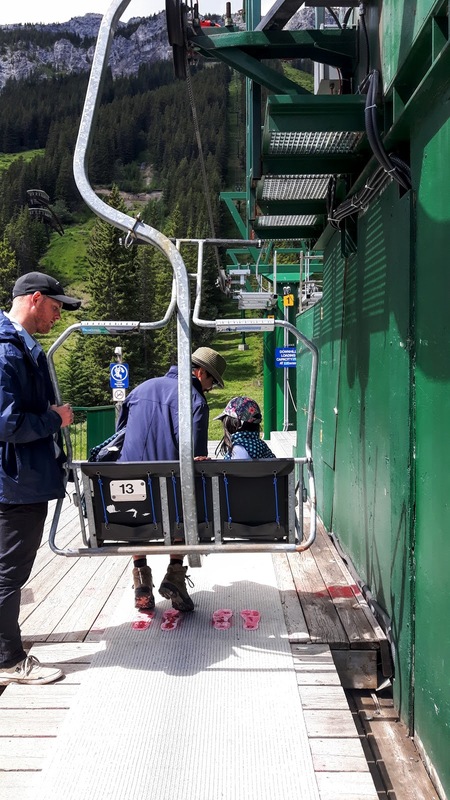 The chair lift runs quite smoothly and the chairs don't rock much (unless you wiggle a lot, so stop that! ), but if you ever feel nervous, look ahead of you instead of straight down. 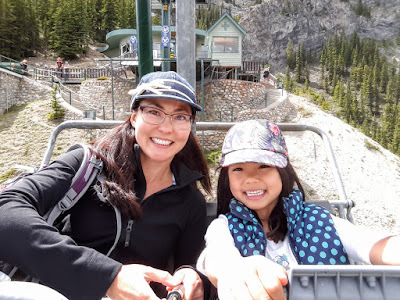 We enjoyed the chairlift and got excited about the coming ski season when we can ride it many times a day! Disembarking is simple. Raise the safety bar when instructed, stand up, and clear the area. At the top, get a family photo at the panoramic lookout, then make your way down the walkway to a second lovely viewpoint (2 minute walk). There are a few interpretive signs and benches, lots of curious ground squirrels, and sometimes mountain sheep! The short walkway is suitable for all ages. Afterwards, head into the Cliffhouse Bistro for a gourmet lunch and local craft beer. The descent is another 8 minutes of beautiful sightseeing. It was fun pointing out landmarks to the kids like Tunnel Mountain, where we were camping. Views: The panoramic views from the top of the chairlift are hard to beat! You'd have to hike all day for similar vistas. To see conditions before you head over, check out the live webcam from the top of the chairlift! Lunch at the Cliffhouse Bistro: More info below. No lines: We arrived on a Friday around noon and didn't have to line up! I imagine weekends would be busier, but the lift can accommodate a lot of people, so the wait would never be too long. 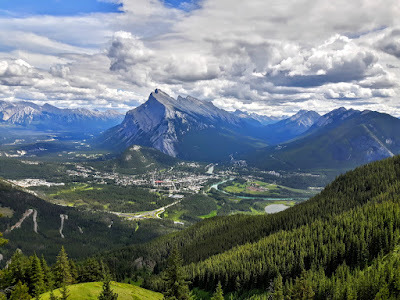 Proximity to Banff: Mount Norquay is accessed via a beautiful, short drive (or free shuttle bus ride) approximately 7 km from the heart of Banff. Note that the road has several switchbacks, so trailers should be left at camp. Alternately, you could take the free shuttle bus from Banff. 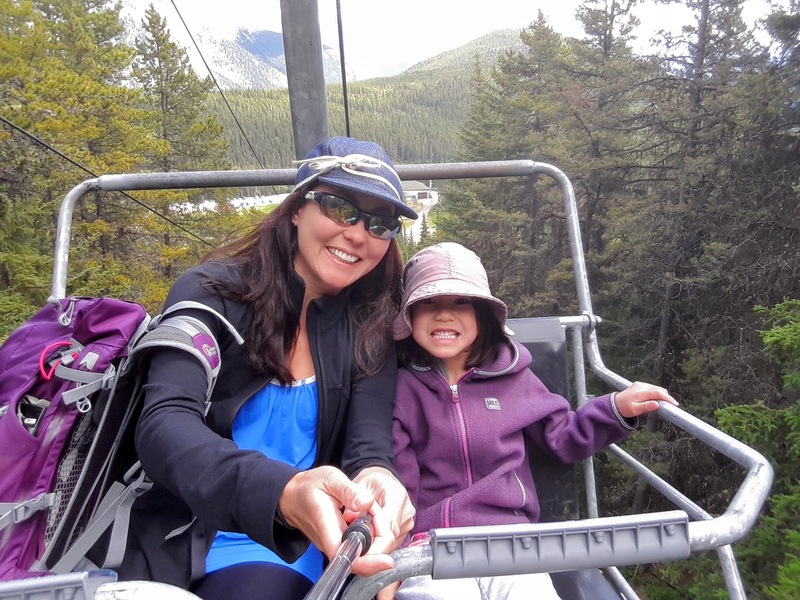 Cost: The Mount Norquay Chairlift is the most reasonably priced sightseeing lift in Banff National Park. 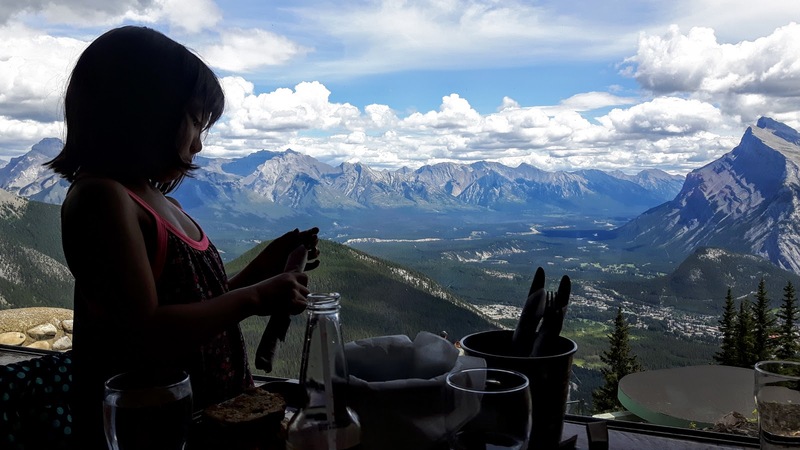 For the same price as a gondola ride elsewhere, you can ride AND dine at Mount Norquay. 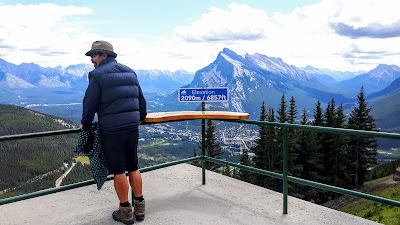 Parking: Mount Norquay has tons of free parking! 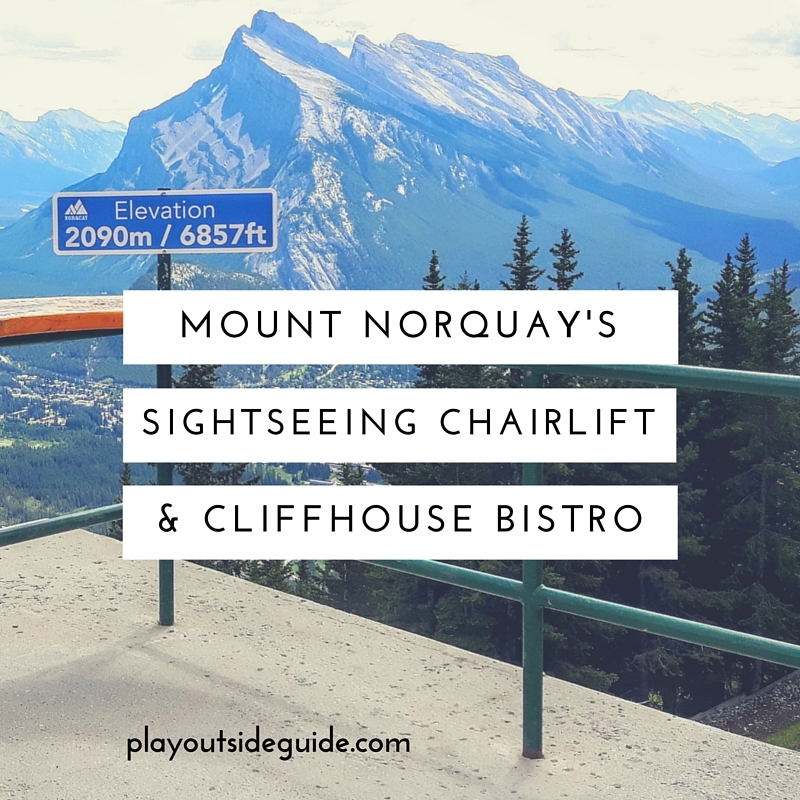 Complete your Mount Norquay experience with a sumptuous meal at the Cliffhouse Bistro. 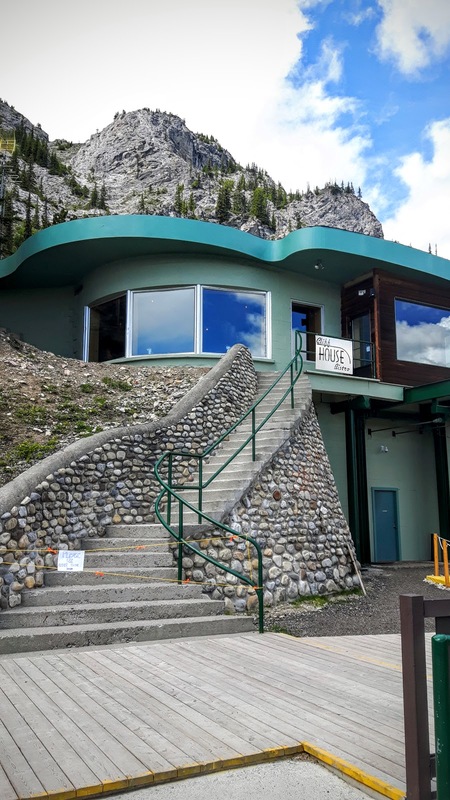 Set into the mountainside, this unique structure built in the 50s is newly renovated, and has the best views in Banff! 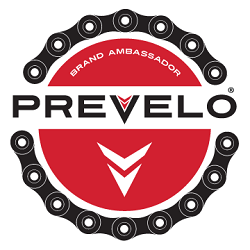 Service is excellent too!! 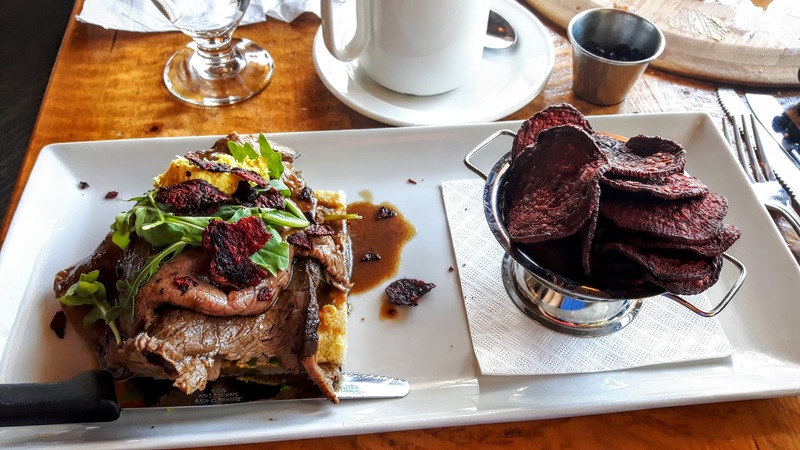 We enjoyed the charcuterie platter as a starter, shaved prime rib sandwich with beet chips, game and fig flatbread, and grilled cheese kids' meals. Creme brulee and ice cream were the perfect desserts accompanied by Grizzly Paw sodas and cappuccinos. 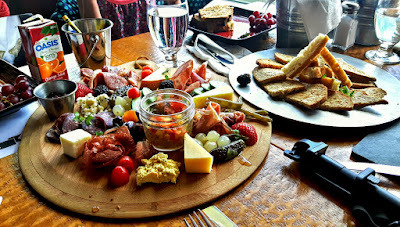 Everything was amazing, but our favorite was the charcuterie platter. I would return for that and a glass of wine anytime! 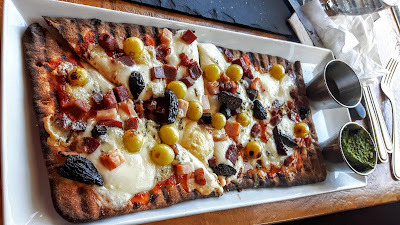 It was much larger than anticipated - would be a good starter for 4 adults or light lunch for 2 - and moderately priced given that the meats were locally sourced and only the best ingredients were used. Being a beef lover, I had to go with the shaved prime rib sandwich. The beef was tender and juicy and dressed with arugula, horseradish and beet chips. We quickly fell in love with the fig and game flatbread. The sweetness of the figs and grapes balanced the saltiness of the smoked meats perfectly. A dollop of pesto enhanced the flavors even more. The girls' grilled cheese sandwiches (kids' meals) came with juice, fruit, and ice cream. They liked them, but were too full to finish them as they had been picking off our plates - something that doesn't usually happen, but they liked everything! 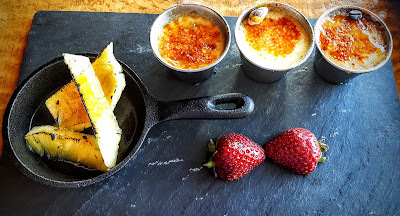 Mini pineapple, coffee, and pistachio creme brulees (creme brulee trio) were the icing on the cake and paired perfectly with cappuccinos. The bistro overlooks the lookout! 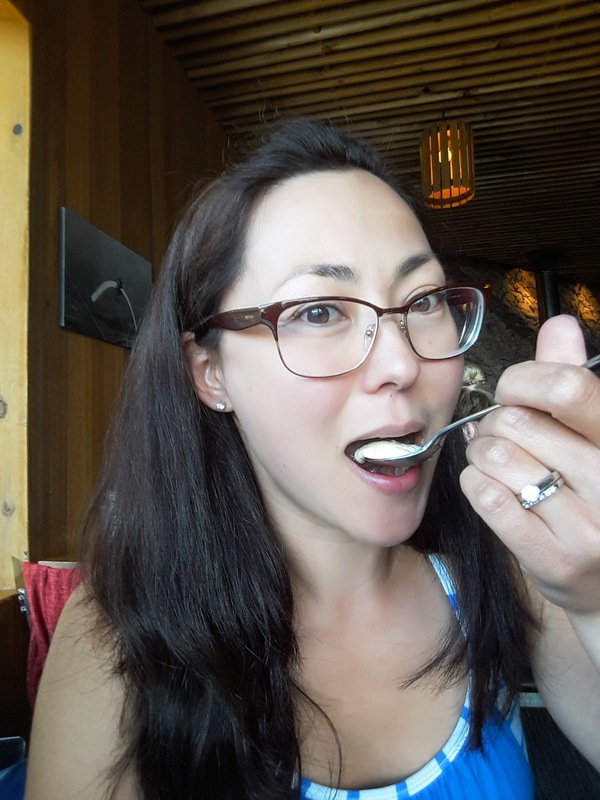 We loved lunch at the Cliffhouse Bistro and will be back! 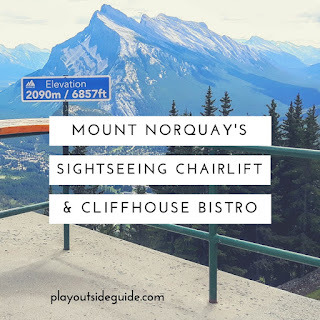 To view the menu, click here: Mount Norquay Cliffhouse Bistro. Reservations are recommended for groups of 6 or more. Mount Norquay is a year-round adventure centre with sightseeing, wildlife viewing (bear sightings every few days and regular mountain sheep sightings), hiking, and guided cabled mountaineering on Mount Norquay's Via Ferrata in addition to fabulous dining! If you don't have time to dine at the Cliffhouse Bistro, there is also a concession at the North American Lodge at the base of the chair lift. 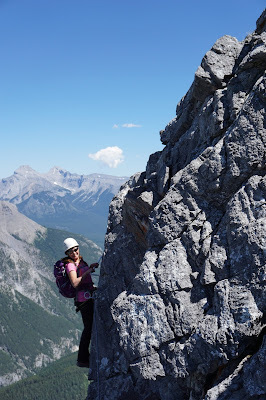 Read about our thrilling experience on the Mount Norquay Via Ferrata here. Two hikes depart from the Mount Norquay parking lot: Stoney Squaw (4.2 km return) and Cascade Amphitheatre (15.4 km return). 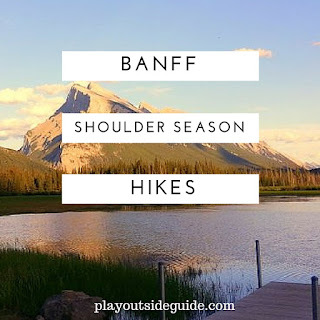 For more options around the town of Banff, see 'Related Posts' at the end of this article. Be sure to follow Mount Norquay's Facebook page for special events such as live music on the mountain! Mid-June until mid-October. See the schedule and rates at Mount Norquay - Via Ferrata. Purchase tickets at the North American Lodge (next to the main parking lot). 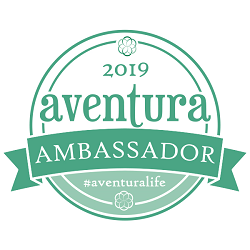 Age 4 & up; children under 12 must be accompanied by an adult. The weather changes rapidly in the mountains and the chair lift is not covered, so bring an extra layer and rain jacket just in case. If you purchase a Mount Norquay Season's Pass for 2016/2017, you will have complimentary sightseeing rides all summer long! Need a ride? 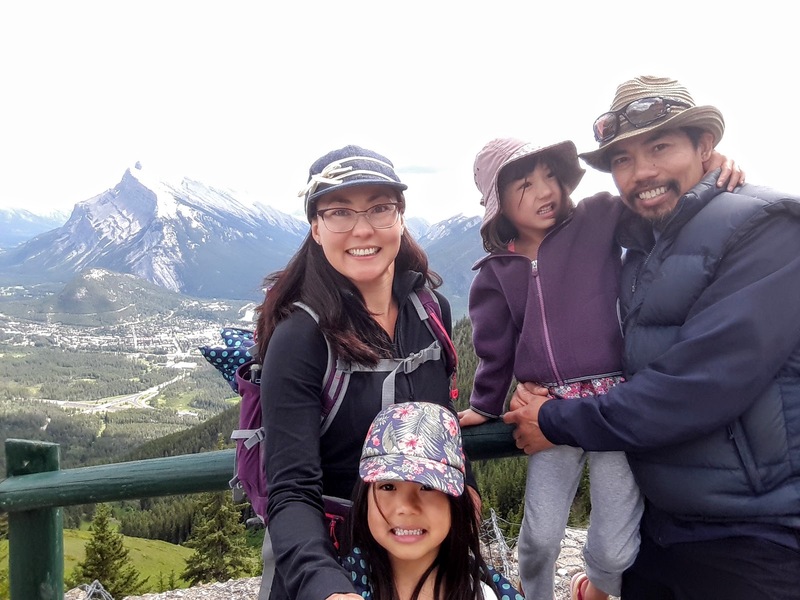 Mount Norquay operates a free shuttle to/from various locations in Banff. 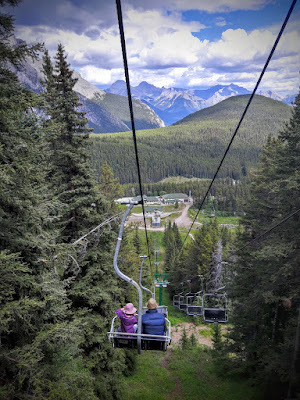 Contact Mount Norquay - Sightseeing Chairlift. Mount Norquay generously provided us with chairlift tickets and lunch, but all words and opinions are my own.